Hardscaping encompasses all the design elements of an outdoor space apart from plants and other landscaping. 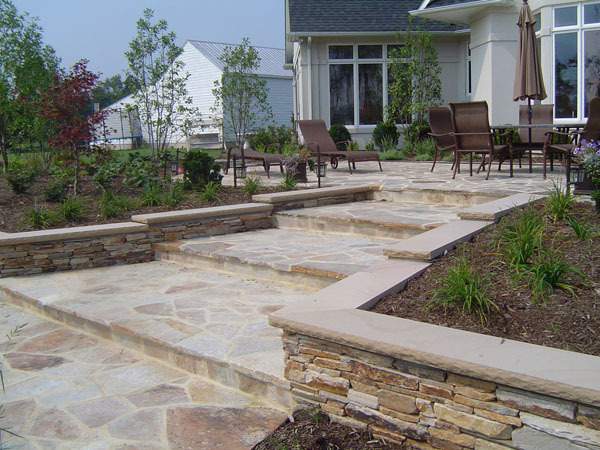 This includes the use of natural stone or concrete to create walkways, parking areas, retaining walls, custom fireplaces, and other artistic and functional elements of your yard. Hardscaping uses interlocking pavers to create intriguing design elements that offer an attractive alternative to traditional flatwork. Because hardscape design needs are unique for each homeowner, all our designs are completely customized and can be molded to fit any desired aesthetic. Call us at 410-739-6800 and let us show you how great your property can look!